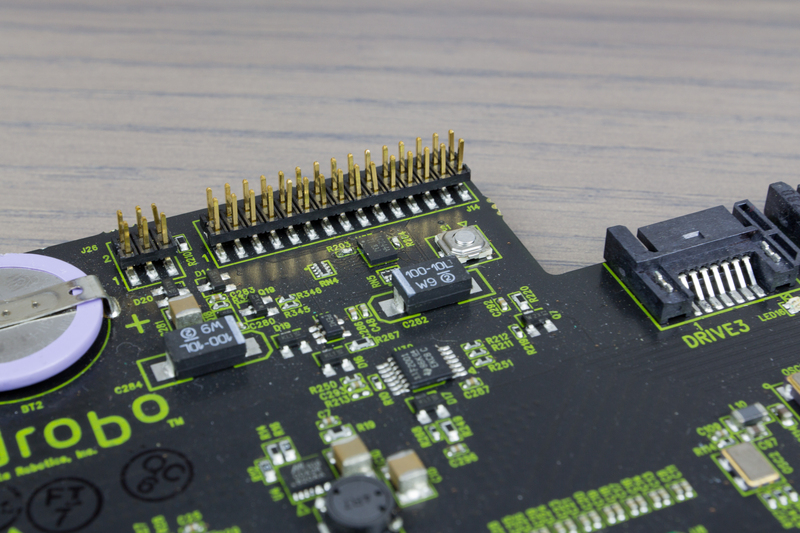 Occasionally development or prototype boards for commercial products get sent to recyclers and resold. I found this board from Data Robotics Inc. at such a place. Data Robotics manufactures a portfolio of popular storage devices under the Drobo moniker. Their product line offers some very compelling features, such as storing data redundantly across a mixed pool of disks and on-the-fly expansion. So far, they've never made a PCIe version of their product available to the public. 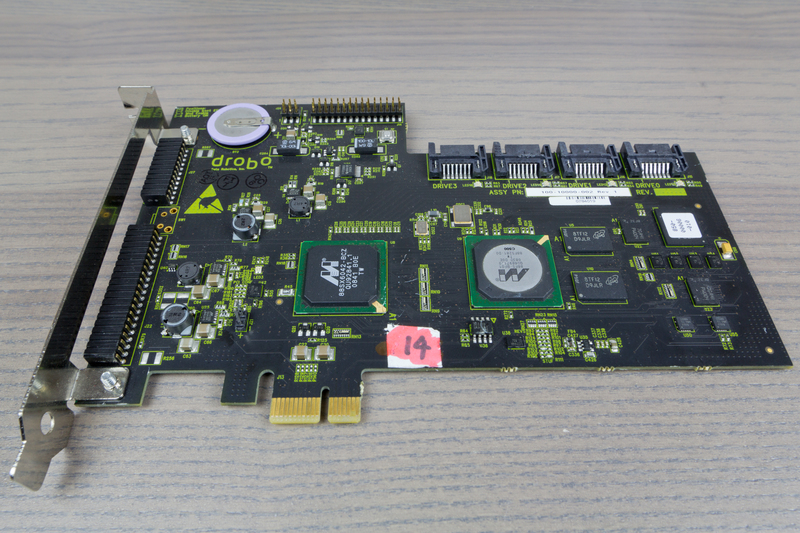 The card itself looks very similar to many commercial SATA controllers. The depanelization tabs are still present, a common indicator of a prototype PCB. It's quite well made, a lot of care was taken in its assembly. At the heart of the card is a Marvell 88F5281-D0, a 500MHz SOC popular in NAS products. 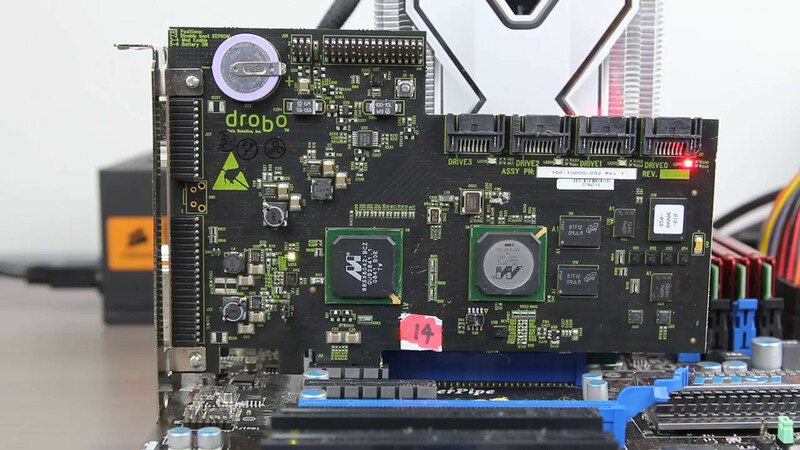 This is the same processor used by the second generation Drobo devices. One could safely draw the conclusion that this is an engineering prototype for that device. This SOC is paired with a Marvell 88SX6042 to provide the four SATA channels. There are a host of ports on the card. A 2x12 and a 2x20 header are installed along the bracket side, presumably for programming or diagnostics while the card is safely nestled inside a PC. Near the top there's a 2x3 header used for entering configuration values and a 2x15 header for unknown purposes. 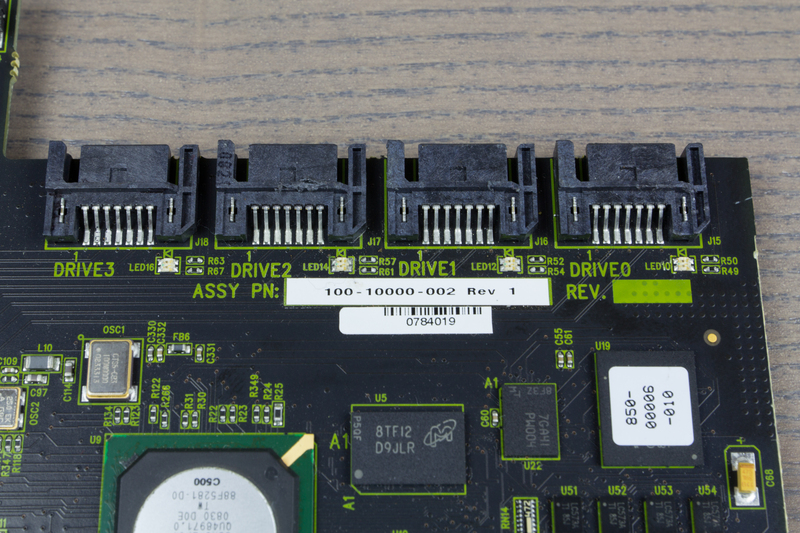 Four SATA connectors in a recessed portion provide connectivity to hard drives and give this card a purpose. I got brave and tried the card in a computer. I was greeted with a power-up process that is very similar to a commercial Drobo. On a lark I connected a drive, and again the behavior was consistent with their commercial product. Both Windows and Linux fail to recongnize the card anything other than a "SCSI Controller". Neither operating system has a suitable driver out-of-the-box and Data Robotics certainly isn't shipping one. Unsurprisingly, the card is not recongized by the Drobo Dashboard.